Showing recent results 2131 - 2145 of 2237 products found. The new MMIC IQ mixers from Fairview (also known as IQ modulators) utilize a highly reliable GaAs MESFET semiconductor process which integrates a pair of matched double balanced mixer cells, a 90-degree hybrid and a 0-degree splitter/combiner that produces exceptional amplitude and phase balance performance. This level of integration offers size and performance advantages in comparison to discrete module assemblies. 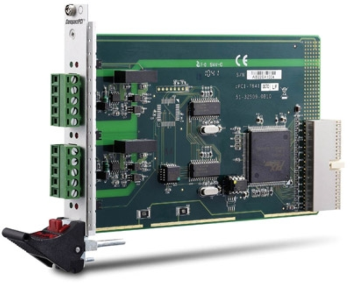 With the addition of an external 90-degree IF hybrid module, these IQ mixers can be used as either a Single Sideband Up-converter Mixer or an Image Reject Down-converter Mixer. The benefit of image rejection and sideband suppression can reduce overall system cost and complexity by removing the need for pre-selection filtering. Typical applications include point-to-point and point-to-multipoint radio, VSAT, military radar, electronic warfare, satellite communications, test equipment, and sensors. 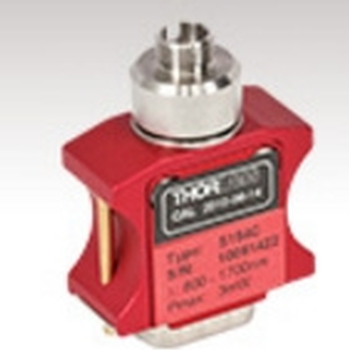 Digital Gaussmeters/Teslameters and Analog Transducers with 1-, 2- or 3-axis integrated Hall and AMR sensors measure the magnetic field in the range of nT to 30T with an extraordinary magnetic resolution of 1ppm and an accuracy of less than 50ppm. The Hall probe’s magnetic field sensitive spot of less than 100µm x 100µm includes horizontal and vertical Hall elements integrated in a single silicon chip. Various probe packages ensure the application of Magnetometers in industry and laboratory environments for temperatures of -40°C to +155°C. The Hall Probe is connected to the electronic module for further signal conditioning forming either a Magnetic Transducer with analog outputs proportional to the measured components of the magnetic field; or a Teslameter/Gaussmeter, which includes the LCD Display and a digital output through the serial PC interface. MR3 - Alpha Lab, Inc. The MR3 Magnetoresistive Milligauss Meter measures and displays the three vectorcomponents (X, Y, Z) as well as the magnitude (M) of the static magnetic field. Update is two times per second. The three sensors are in a 25 mm (1") cube at the end of a flexible 100 cm (40") cable. It can be powered by 4 AA batteries (included) or a Worldwide AC adaptor (included). It can collect and store data (X, Y, Z and M) for later download or stream data live via USB connector. Both the instantaneous values of X, Y, Z and M, and their peak values, are displayed on the meter screen. "Peak" values are the highest values seen since the peak reset button was pressed. Maximum error of sensitivity is +/- 0.5 % of the reading, and the maximum error of the offset is +/- 0.50 milligauss. Range is +/- 1999.99 milligauss with resolution 0.01 milligauss (or 1 nT) over the full range, displayed simultaneously for X, Y, Z and M.
Welcome to Thorlabs; below you will find links to detectors and instrumentation that measure the various properties of light, a subset of our entire line of photonics products. 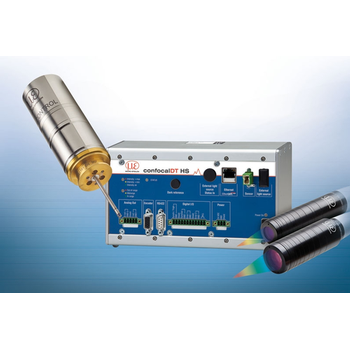 Thorlabs offers an extensive selection of instruments that measure the properties of light. Our versatile power and energy meters can be used with over 25 different sensors in order to make NIST-traceable power and energy measurements. If the convenience of a meter is not desired, our selection of detectors includes basic photodiodes (uncalibrated and calibrated), photodetectors (biased, amplified, and avalanche), CCD and CMOS arrays, position detectors, integrating spheres, and photomultiplier tubes. The Beam Characterization category contains beam profilers (camera and scanning slit), a wavefront sensor, spectrometers, and interferometers, while the Polarimetery link leads to a selection of instruments used to measure and control the polarization of light. The confocalDT 2471 HS controllers are used for fast distance and thickness measurements of highly reflecting shiny surfaces, enabling measuring rates up to 70kHz without having to use an external light source. The confocalDT HS controllers are considered one of the fastest confocal measurement systems in the world. The controller can be operated with any IFS series sensor and is available as IFC2471LED standard version for distance measurements or as IFC2471MP LED multi-peak version for thickness measurements. The controller can be operated with any IFS sensor and is available as a standard version for distance measurements or as a multi-peak version for thickness measurements. Due to a user-friendly web interface, the entire configuration process of controller and sensors is carried out without using any additional software. 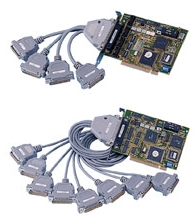 Data output is via Ethernet, EtherCAT, RS422 or analog output. The E Instruments IAQ Monitors provide indoor air quality testing professionals the very latest technology and flexibility in the capability of customizing our handheld AQ Pro and portable AQ Expert IAQ Monitors to incorporate the specific types of toxic gas sensor(s) needed for almost any IAQ application in the field. By offering the Indoor Air Quality (IAQ) professionals the ability to customize their IAQ Monitors to specifically meet their own specific requirements anywhere from 1 gas measurement (CO2 only) up to 8 total gas sensors in one IAQ Monitor, E Instruments’ IAQ Monitors separate themselves from the competition. For our HVAC professionals, the unique AQ Comfort IAQ Monitors is an economical way to enter the growing residential Indoor Air Quality (IAQ) testing market and provide their customers with solutions on how to improve their Indoor Air Quality (IAQ). Contact E Instruments today regarding your IAQ Monitor needs. C422/C485 - ADLINK Technology Inc.
C518/C514 - ADLINK Technology Inc.
Infrared Thermometer is also known as laser thermometerInfrared thermometer is a thermometer which infers temperature from a portion of the thermal radiation sometimes called blackbody radiation emitted by the object being measured.Laser is used to help aim the thermometer or non-contact thermometers or temperature guns, to describe the device's ability to measure temperature from a distance. By knowing the amount of infrared energy emitted by the object and its emissivity, the object's temperature can often be determined. Infrared thermometers are a subset of devices known as "thermal radiation thermometers".The design essentially consists of a lens to focus the infrared thermal radiation on to a detector, which converts the radiant power to an electrical signal that can be displayed in units of temperature after being compensated for ambient temperature. This permits temperature measurement from a distance without contact with the object to be measured. 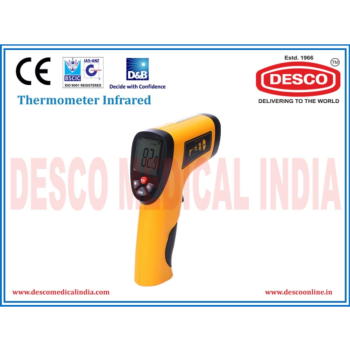 A non-contact infrared thermometer is useful for measuring temperature under circumstances where thermocouples or other probe-type sensors cannot be used or do not produce accurate data for a variety of reasons. OMEGA's OS768-LS is the ultimate tool for temperature measurement. Accurately verify surface temperatures with two of the most reliable temperature sensors:* Non-contact micro-machined thermopile* Type K thermocouple input (free T/C included)Such an arrangement can fulfill most temperature measurement requirements. The non-contact infrared measurement is ideal for non-reachable situations, due to safety or sanitary reasonsinstant readings, safely and reliably. 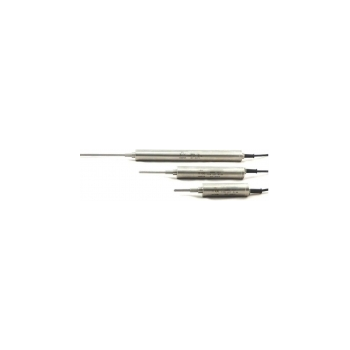 Or use the thermocouple for high precision measurement of contact surfaces, gases, and liquids. The OS768-LS can also help measure emissivity, which is often difficult for a user to determine. Use the Type K thermocouple contact to measure the true temperature. Then, use the non-contact infrared to get the surface temperature. Adjust the emissivity until they are the same, with the option to use the same emissivity setting for that object next time. No more guess work, no more looking up on Emissivity Table. This unit also comes with an ultra-long battery life (batteries are included). 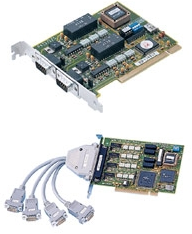 PCI-7841/cPCI-7841 - ADLINK Technology Inc. The DeltaTrak Electronic Data Logger is a portable, pocket sized electronic device powered by a 10-year lithium battery. It is designed for easy and reliable tracking of parameters such as temperature, relative humidity, electric current, pressure, process signals, and pulse signals. All data loggers have a built-in temperature sensor plus single or multiple external channels where different sensors can be attached for remote monitoring of a variety of parameters. 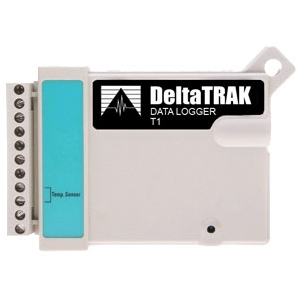 The DeltaTrak Data Loggers interface with a PC and have an internal memory for up to 32,000 readings. Each data point is automatically time and date stamped as it is recorded. Sampling intervals are set by the operator via a user-friendly Windows program on the PC. Recorded data is downloaded and graphed or exported in ASCII format to a spreadsheet for numerical print outs. Pressure: Measures gas or liquid pressure. Pressure is an expression of the force required to stop a fluid from expanding. 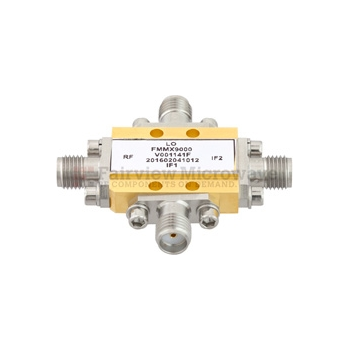 The transducer generates a signal from the pressure imposed upon it. Torque: Measures the torque (or twisting motion) on a static or rotating system. The static torque element has little movement and therefore more economic to manufacture and purchase. Rotary or dynamic torque is more complicated as the signal needs to be transferred using slip rings, wireless telemetry or rotary transformers/inductance technology so that the strain gauged shaft can continuously rotate. Displacement: Measures distance. The displacement transducers that PCM offer are slightly different to standard units. They have a strain gauge/wheatstone bridge. The benefit here is that if the customer has existing electronics that uses strain gauge/load cell technology, they can use them with these sensors. It features innovative development of the acoustic profiling capacity and an exceptional ability to collect high quality current information on moving and tilting moorings. Available as a self-recording instrument, it also integrates unique real time features to meet your application needs. 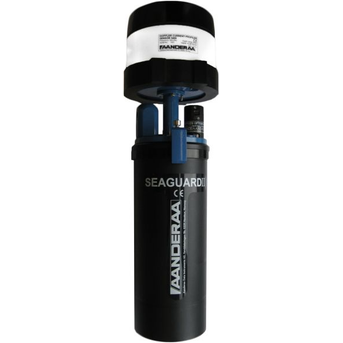 The SeaGuardII is a smart data hub that combines the SeaGuard electronics with the advanced management firmware of Aanderaa SmartGuard data hub. 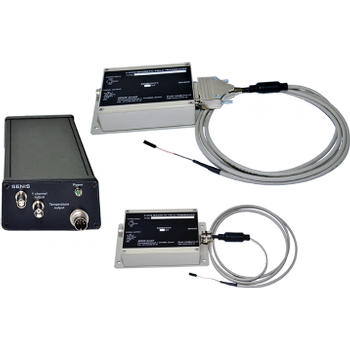 SeaGuardII DCP is a 600kHz frequency profiler with multi-sensor capability. By design, we offer increased deployment time, optimized configuration flexibility and unique features to cope with demanding upper ocean environments. Optional parameters are available using Aanderaa range of smart sensors that include temperature, pressure, conductivity, oxygen, wave, tide and turbidity. In addition the SeaGuardII has 4 analog inputs, 2 serial ports with power control and direct connection for real time data transmission unit. 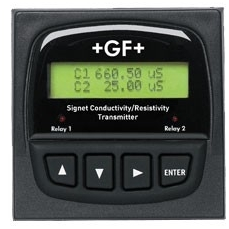 The Signet 8860 Dual Channel Conductivity/Resistivity Controller is a two-channel input device equipped with three scaleable 4 to 20 mA outputs and four programmable relays. A selector switch activates two open collector outputs in place of two of the relays for extraordinary output versatility. 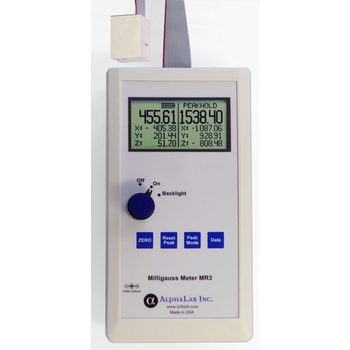 Dual input and advanced control capability, including percent rejection, difference and ratio calculations, together with Signet Conductivity Sensors, form the perfect measurement and control system for water treatment applications and more. Two versions are available: once accepts AC line-voltage, the other low voltage DC for power. The four-button keypad arrangement with intuitive software design is user-friendly, and the NEMA 4X/IP65 front panel with self-healing window in a 1/4 DIN package for easy panel installation.